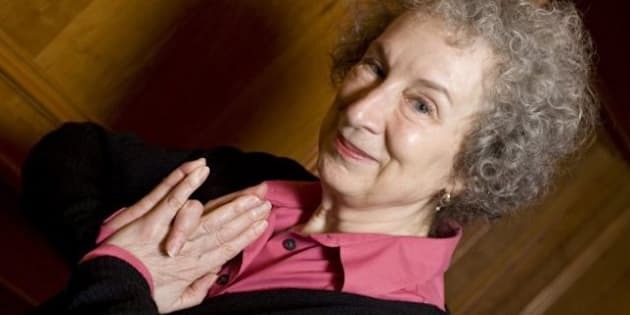 Margaret Atwood's new book is an exploration of science fiction, but the Canadian novelist hopes the technology used to put it on paper will be anything but. Atwood's new work of non-fiction, In Other Worlds: SF and the Human Imagination, is being printed on straw paper, a new technology whose backers say could generate millions in revenue and save countless forests. The straw paper, dubbed Second Harvest Paper, is made from leftover materials used in harvesting wheat and in the production of recycled paper, meaning that it is "made without any harm to forests," according to environmental NGO Canopy, which developed the paper. Atwood told her Twitter followers Tuesday that 300 copies of In Other Worlds will be released in a special limited run printed on straw paper, with the general print run going out on conventional (post-consumer recycled) paper. She said the straw books are meant to act as an "awareness raiser." "This is an elegant solution to a pressing problem," she wrote in the introduction to the limited edition. "Human beings need oxygen, and forests produce it; printed books require paper, but paper need not be made from virgin forests." According to Vancouver-based Canopy, a straw paper industry could be big enough to keep four mills running, clock up some $920 million in annual sales, and spare 800 million trees per year from being cut down. "Shifting paper production from our endangered forests to our fields would yield a new resource sector with benefits to farming communities, our economy, and forest ecosystems around the world," Nicole Rycroft, executive director of Canopy, said in a press release. The book's Canadian publisher, McClelland and Stewart, also appears to be happy with the experimental print run. "We're very pleased with the way the special edition looks on the Second Harvest Paper," M&S President Doug Pepper said in a statement. "For many years M&S has worked with Canopy to find new alternatives to conventional paper and we look forward to shifting more of our titles to Second Harvest as soon as it's more commercially available." The idea to use straw pulp to make paper has been around for some time, as has the use of paper made from rice straw. But most efforts to use straw pulp involved combining it with conventional paper sources. By contrast, Second Harvest Paper uses no conventional paper sources. That, according to Canopy, means the paper has "half the ecological footprint of conventional paper." One company that stands to benefit from a shift to straw paper is Alberta-based Cascades Fine Paper, which contracted to make the straw paper for Canopy. "This trial has shifted Second Harvest Paper from theoretical possibility to tangible product, and made it an important business strategy for Cascades," Julie Loyer, Cascades' executive for sustainable development, said in a statement. But Loyer said that making straw paper commercially viable would take the efforts of the industry as a whole, and the backing of government to ensure "a reliable North American supply of straw pulp." Here's an infographic of the straw paper process, as described by Canopy.